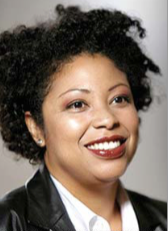 As Founder and CEO of Lightbeam Communications, Roben Allong applies unparalleled market research acumen, diverse experience, and prescient vision to initiatives for clients ranging from Fortune 500 companies to groundbreaking industry disruptors. A detailed researcher, engaging focus group moderator, and innovative strategy expert, her findings and reports would prove invaluable to the likes of UBER, Nestle-Purina, New York City Department of Health & Mental Hygiene, L’Oréal, Ford Lincoln Motors and more. Her professional career began in the entertainment industry where she spent over a decade working with some of the world’s biggest artists on a global scale and held executive positions at major record labels, including VP Worldwide A&R at Bertelsmann Music Group, that later merged with SONY Music. After seven years as a moderator and marketing consultant for a boutique market research firm, RealityCheck, Inc., she launched Lightbeam Communications at the top of 2013. Lightbeam has emerged as an invaluable resource and trend curator for companies in numerous verticals and product categories, including automotive, liquor, packaged goods, beauty, personal care, food and beverage, retail, energy and healthcare. Roben’s approach, as a researcher and strategist, starts from the inside out as she translates consumer trends, brand ethos and narratives seamlessly into uncluttered communication to culture at large. 2019 sees her once again venture into new “spaces” via its groundbreaking marketing work with Hudson Hemp LLC, an industrial hemp farm located in upstate New York. As cannabis legalization is in full swing, Roben and her team endeavor to augment mainstream acceptance by way of ongoing, innovative cultural consumer research and to spark fresh insights. Roben is currently Secretary of the QRCA (Qualitative Research Consultants Association) Board, the Business Features Editor of Views magazine, and Co-chairs of the New York Metro Chapter of the QRCA. She is based in New York City and regularly presents research findings on social and cultural trends at several distinguished organizations domestically and internationally. Automotive, beauty, CPG, electronics, entertainment, financial services, food and beverage, healthcare, insurance, not-for-profit, personal care, QSR, skincare, supply chain management, technology, transportation, retail. Expertly conducts energetic in-person and telephone in-depth interviews, focus groups (structured and unstructured), ethnographies, situational field observations, dyads, triads, mini-groups, online-panels, bulletin boards, mobile qual/quant, street intercepts, managing small and large scale qualitative research projects from inception to completion.